Latest information about Archive360 and industry information. 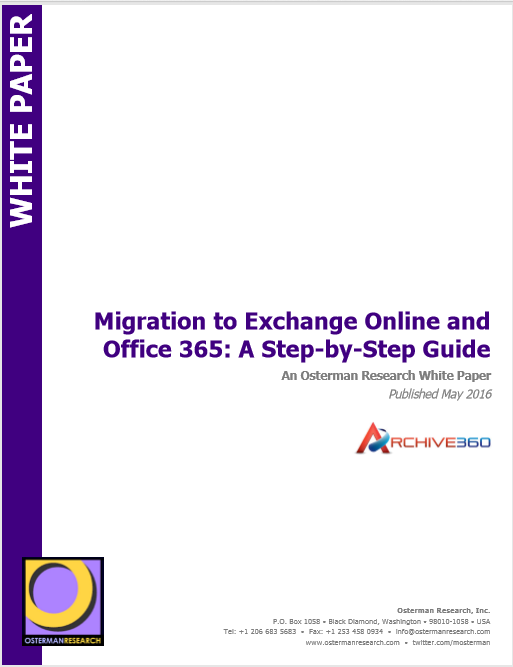 Did you know the adoption of Office 365 across the globe is growing rapidly? Regional U.S.-Based Healthcare Organization Finds Cost-Effective Way to Reduce Archive Latency, Improve Regulatory Compliance, and Raise Data Security Via Archive360 Solutions NEW YORK – October 18, 2018 – Archive360®, the world’s leader in intelligent information management solutions, today announced that a regional U.S. based healthcare organization and clinical research facility has chosen its Archive2Azure™ and FastCollect™ for Archives to solve problems in data migration and long-term data management. 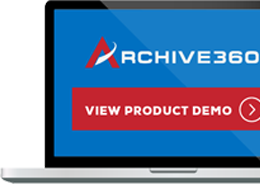 Global Construction, Mining, and Engineering Company Finds Faster Way to Meet eDiscovery Requirements, Using Archive360 Solutions to Produce Targeted Search Info Within Hours of Request NEW YORK – September 24, 2018 – Archive360®, the world’s leader in intelligent information management solutions, today announced one of the largest and most respected construction, mining, and engineering organizations in North America and beyond has chosen its FastCollect™ for Archives and its Archive2Azure™ to respond to the ongoing challenge in highly regulated industries of being able to find and produce data quickly. Immutable Data storage and an Intelligent data Management Solution for Azure Ensures Financial Service Firms can Meet Data Storage Requirements Orlando – September 20, 2018 – Archive360, one of the world’s leading providers of data migration and information management solutions for the Microsoft cloud, today announced its Archive2Azure long-term intelligent data management and compliance archive solution, delivers complete support for Immutable storage for Microsoft Azure Blobs, which is available today. 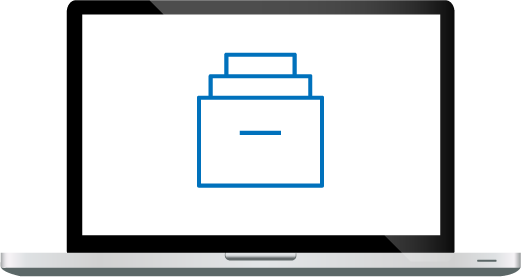 Archive360 has just announced that Archive2Azure is one of the first native, cloud-managed solutions for archiving and long-term data management to fully support Microsoft’s immutable storage capability.